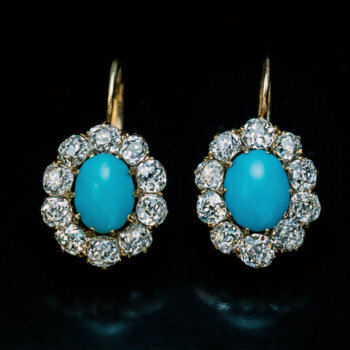 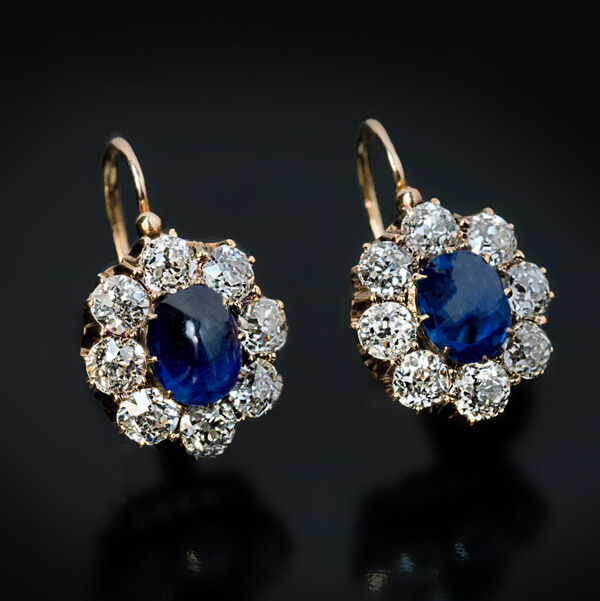 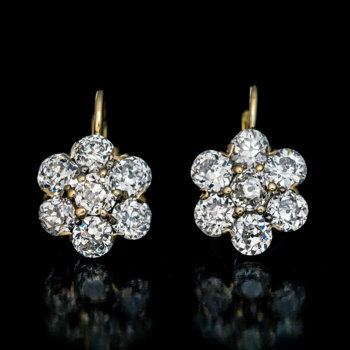 Antique 14K gold cluster earrings are centered with cabochon cut natural sapphires (measuring 5.76 x 4.8 x 2.5 mm, approximately 0.75 ct and 5.8 x 4.8 x 2.8 mm, approximately 0.84 ct) encircled by sparkling bright white old brilliant cut diamonds (G-H color, VS-SI clarity). 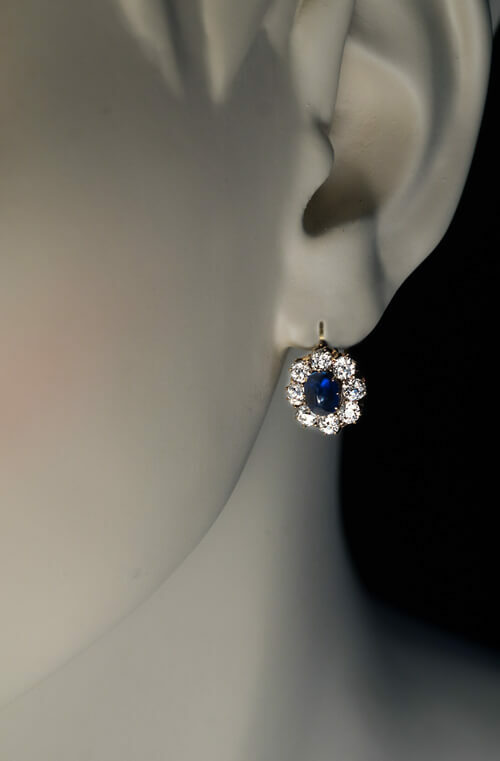 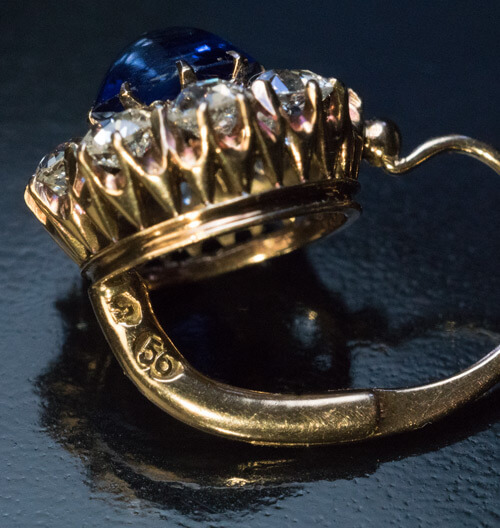 Estimated total sapphire weight is 1.59 ct. 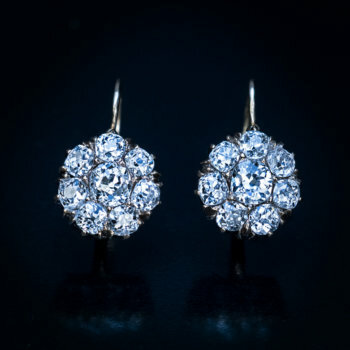 Approximate total diamond weight is 2 carats. 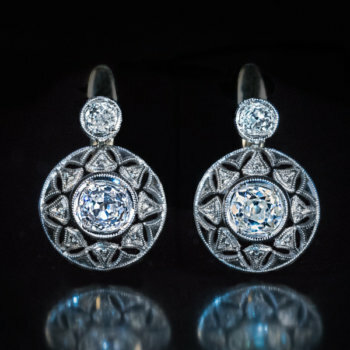 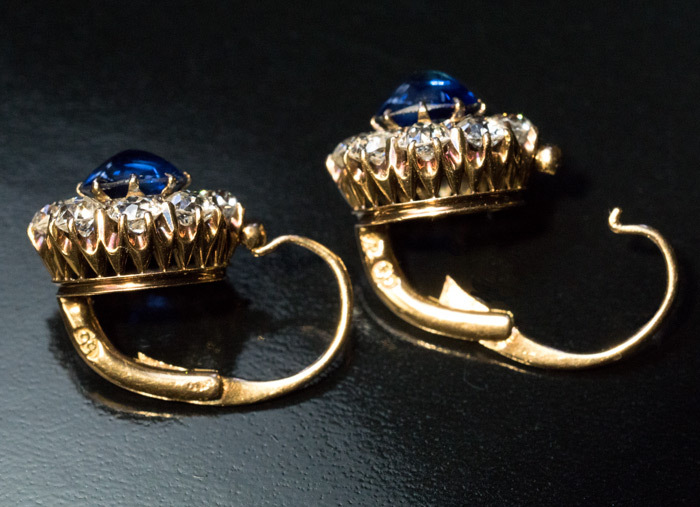 The earrings are marked with 56 zolotnik Imperial gold standard and maker’s mark.